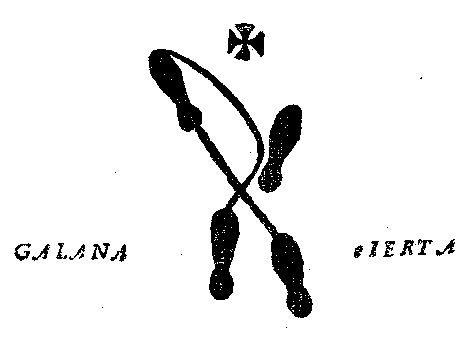 This mid-17th century dance manual discusses dances in a style similar to 16th century Italy. Published in Spain during an era of censorship, it was reprinted in 1945 in Spain during another era of censorship. Brooks, Mynn Matluck. 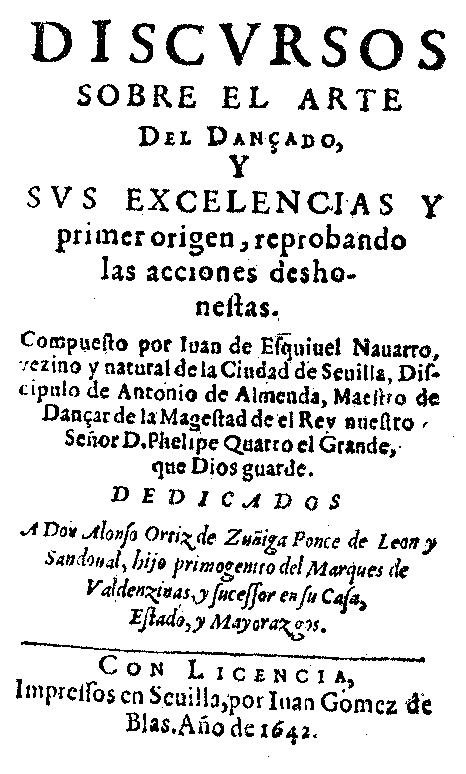 The art of dancing in seventeenth-century Spain; Juan de Esquivel Navarro and his world . Bucknell University Press, 2003. ISBN 0838755313, ISBN13 978-0838755310. 332 pages. Where can I buy it? This website contains a facsimile scan of the 1945 printing. A transcription of this was done at the Project Gutenberg Distributed Proofreaders website. A big thank-you is due to all of the volunteers who helped proof this transcription!